All Saints has two halls available for private hire. Contact the Parish Office for rates and to discuss availability. 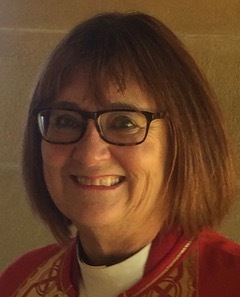 Ordained in Canberra-Goulburn Diocese, Mother Lynda has served as a Parish priest in both Canberra and Melbourne, and at Trinity College in Melbourne as College Chaplain. 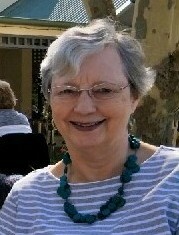 Inducted as the Rector of All Saints in April 2015, Lynda’s vision for the parish is for it to live out the spiritual heart of anglo-catholicism, as demonstrated in the healing ministry of Christ, the sacraments and the life of prayer and in a passionate commitment to social justice. She is also committed to growing community through sharing food and hospitality. Eating together is a reminder of our connectedness to God, the earth and to each other, and calls us to radical hospitality, even for the stranger. Mother Lynda has a particular interest in the work of German theologian and martyr, Dietrich Bonhoeffer and has recently completed her Master’s Thesis, Blowing up Religion: Dietrich Bonhoeffer’s vision for Theological Ministry Formation. She has five adult children and eight grandchildren. The Rectory is also home to two British Shorthair cats, Monty and Chester. Father Charles is a proud Tasmanian who trained initially as a Social Worker, having worked in various government agencies in that state. 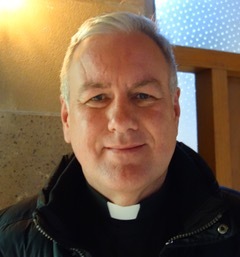 He trained for the priesthood at the United Faculty of Theology in Melbourne and was ordained Deacon in 1991 and Priest in 1992. He served in the Diocese of Tasmania in both parish and prison chaplaincy. Fr Charles served most recently as a Chaplain in the Regular Army. At All Saints his particular focus is Pastoral Care and the healing ministry. His interests are writing poetry, cooking and keeping fit. Born in Sydney, Father James moved to Canberra with his family in the early 1950s, when the population was approximately 25,000. He has therefore seen many changes to the city over the years. From an early age he had a strong sense of calling to serve in the ministry of the church and was particularly involved here at All Saints, being confirmed in All Saints’ hall before the church was built in 1958. 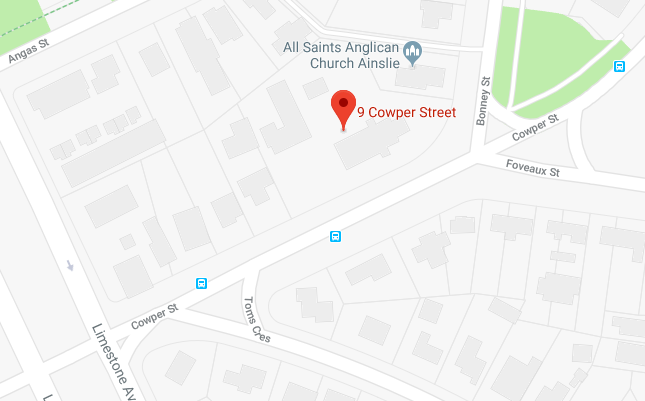 He trained for the priesthood at St Marks here in Canberra in the late 1980’s and was ordained at St Saviours Cathedral, Goulburn in 1992, after which he was appointed as curate to St Alban’s Epping in the Diocese of Sydney for two years. Father James then spent more than 22 years in Sydney at St Albans then as Rector of St John’s Balmain. 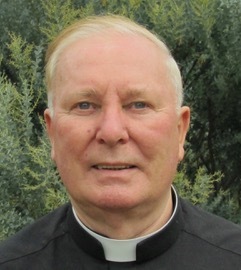 In 2014 he retired from full time ministry and returned to Canberra to serve as a honorary priest here at All Saints’. As Father James says, his spiritual journey has now gone full circle! Mercy Jeremiah was appointed as All Saints’ parish administrator in February 2017. 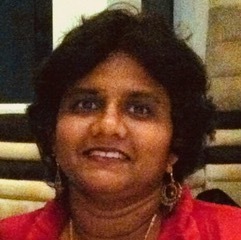 Born in Singapore, she is a Kiwi of Indian Tamil Heritage. She has worked as an Airforce Librarian and Hospital Administrator. Mercy holds a MPhil in English Literature and a Certificate in Chaplaincy & Pastoral Care and has trained as a school chaplain. She hopes to further her Chaplaincy studies in the near future. Mercy sees her role as parish administrator as a ministry of Grace and firmly believes that God has led her to this role. She loves road trips and enjoys music, dance and drama. She is happily married to Anbu and has three adorable children Meshach, Josiah and Lillian. The family worships at All Saints and are all dedicated altar servers. Angela is a retired teacher and librarian, spending her last 23 years of work at the National Library of Australia. She has been worshipping at All Saints’ for the last 8 years, as well as a for a 5-year period in the early 1990s. Angela is a volunteer in the Parish Office and currently works every Thursday. Her main tasks include organising baptisms, preparing the weekly pew sheet (The Fold) and the E-news. Angela is a widow who enjoys spending time with her grandchildren, working as a volunteer for the Lifeline Bookfairs, doing tai chi, reading and gardening. All Saints also has many volunteers whose work is vital to the running and upkeep of our church building and grounds: cleaners; flower arrangers; tea servers; altar servers; sidespersons; intercessors--the list goes on, and we are thankful for every one of them.